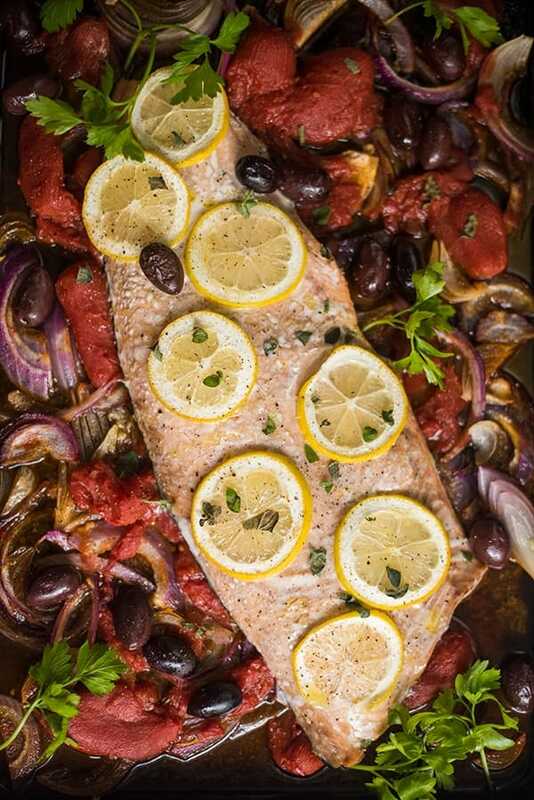 This easy sheet pan salmon recipe is made with olives, tomatoes, onions and fresh oregano. 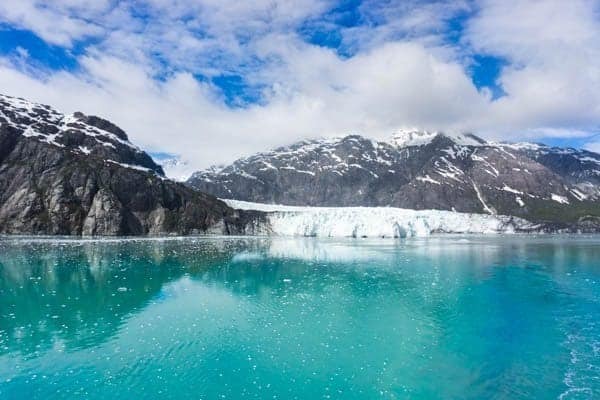 Inspired by our recent Alaskan cruise on board the Ruby Princess, this is the ultimate healthy dinner recipe! This luscious roasted salmon recipe marks my sixth and final post in my Alaskan cruise travel series. I’m not afraid to say it: I just may have saved the best for last! Of course, you can’t write an Alaskan travel series on a food blog without mentioning the incredible seafood. While we had incredible Alaskan halibut and giant king crab legs, my most memorable food experience took place on board the Ruby Princess during their seafood extravaganza lunch buffet. Much to our delight, the star of the show was a giant wild Alaskan salmon roasted whole with tomatoes and olives. 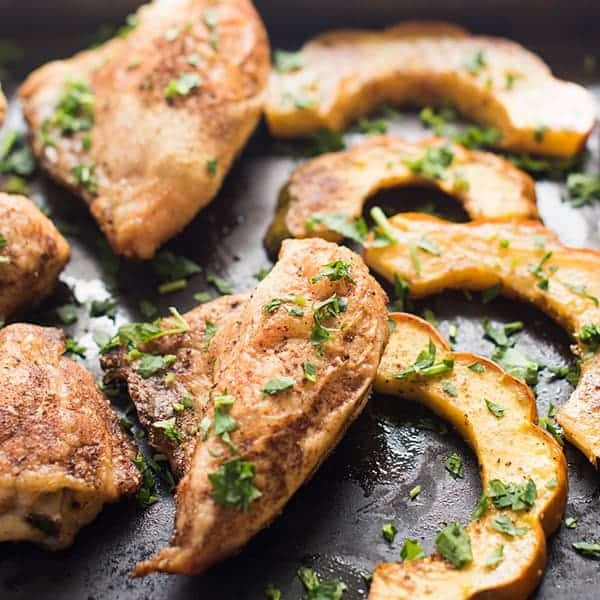 Tender, juicy and packed with flavor, my family of four probably went up for three servings each. 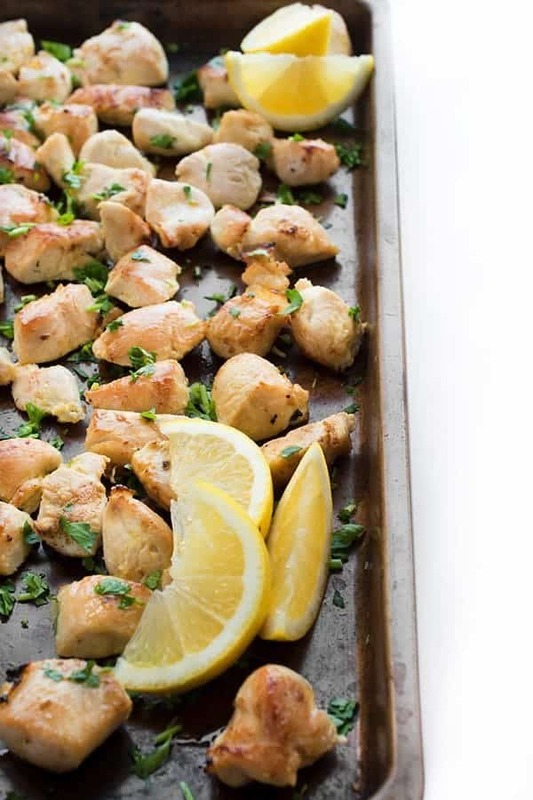 When I returned home, I couldn’t wait to recreate this incredible seafood dish in the form of a fast and easy sheet pan dinner recipe. 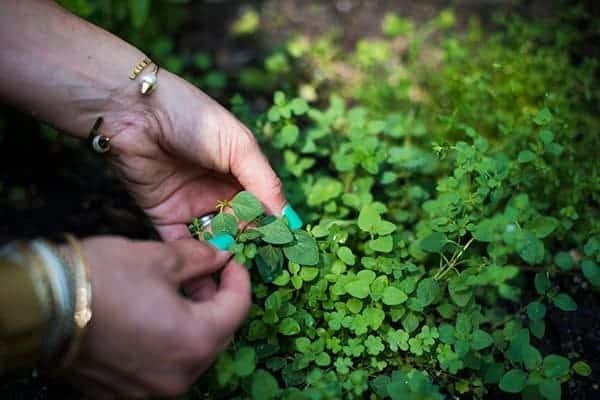 Lucky for me, my herb garden is in full bloom so I decided to add fresh oregano to the pan before roasting the salmon in a hot oven. 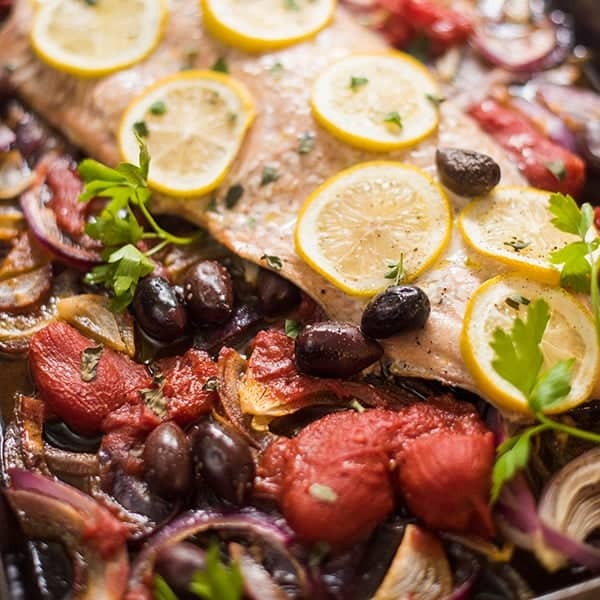 To prepare, you simply toss onion, tomatoes and olives with a little olive oil and salt then place the whole salmon filet on top. Garnish with lemon slices, salt and pepper then roast until the salmon is flakey and fork tender, about 16-18 minutes. 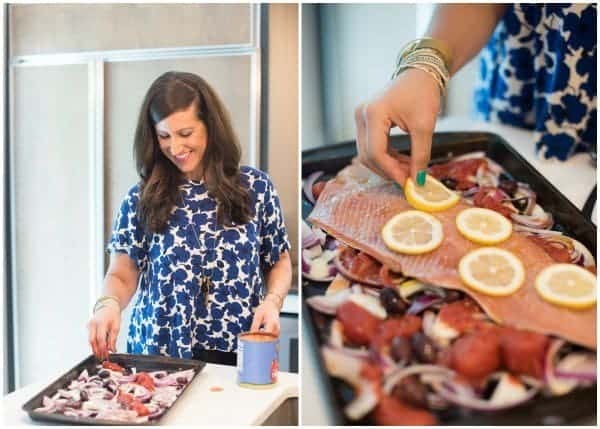 Fancy enough for entertaining but easy enough for a casual weeknight dinner, this is sure to be your new go-to salmon recipe. When shopping, be sure to look for wild caught Alaskan salmon. It truly is one of a kind. 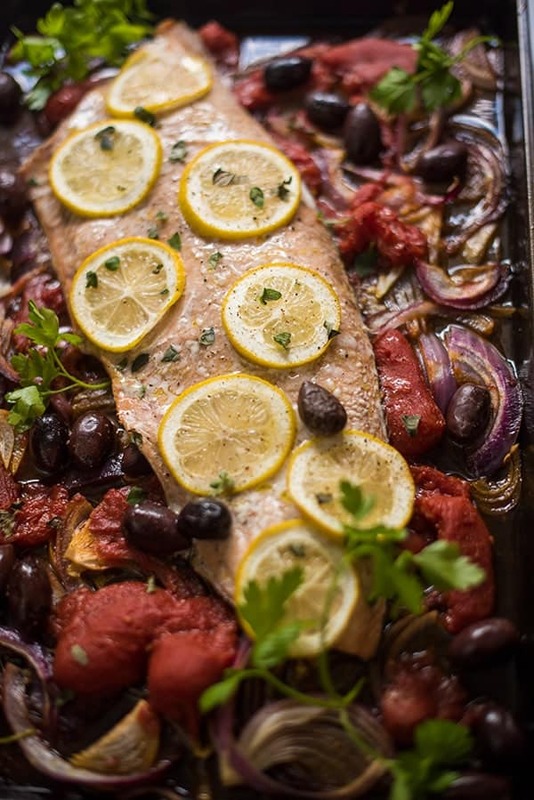 This easy sheet pan salmon recipe is made with olives, tomatoes, onions and fresh oregano. The ultimate healthy seafood dinner recipe! 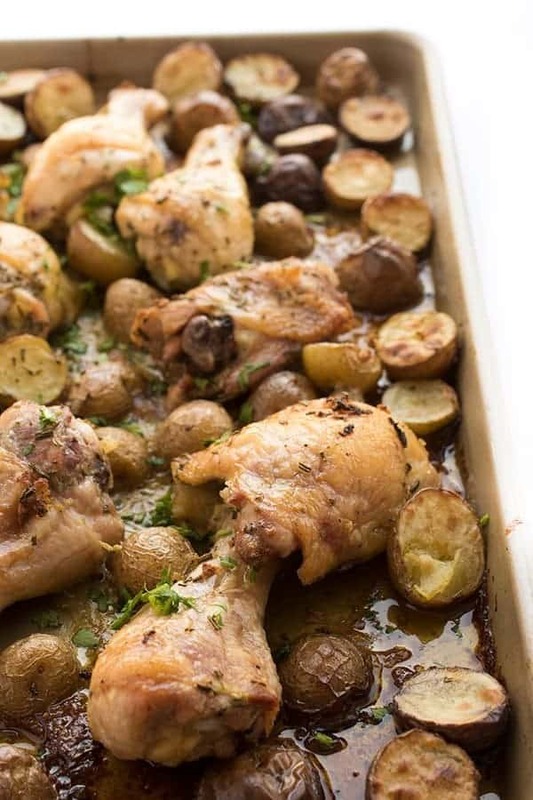 Preheat oven to 400 degrees and spray a large baking sheet with cooking spray or line with foil. 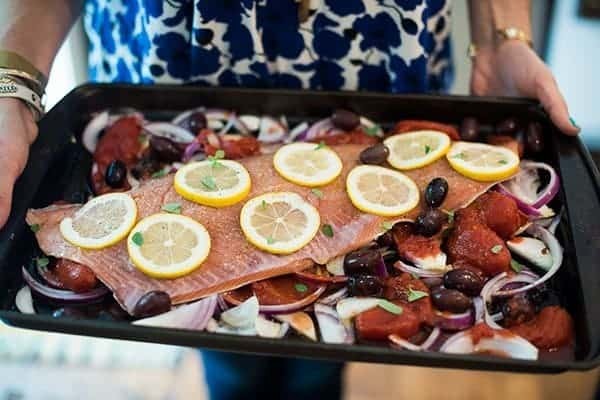 Scatter the baking sheet with the onions, tomatoes and olives then top with the salmon filet. Place lemon slices on top of the salmon in a single layer. Drizzle with olive oil, salt, pepper and oregano then lightly toss the veggies to coat. Bake until fish flakes easily with a fork, 16-18 minutes. I love this recipe. It’s beautiful and would definitely impress guests. I’ve never been on a cruise. Weird, right? It’s so so good! No not weird at all. You should though! I love me some salmon! 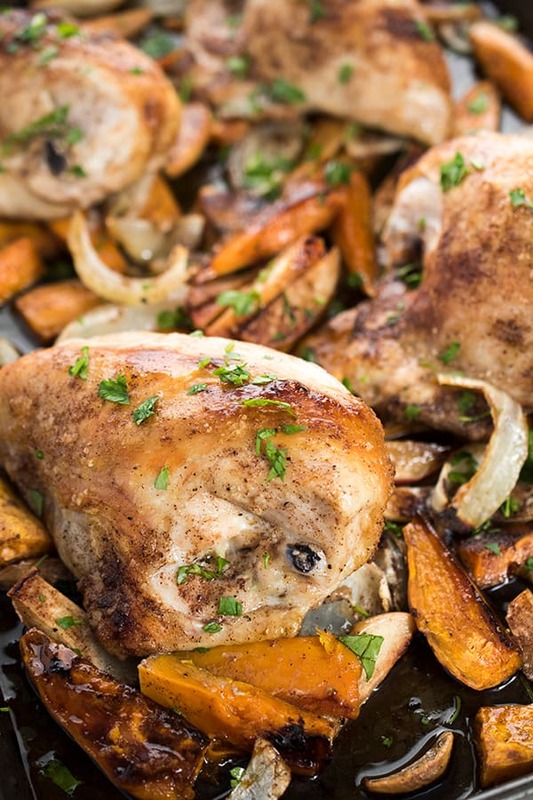 This sounds so flavorful, yet so simple at the same time. Perfection! Aww thanks so much lady!